Monterey Jazz 2011: Juan-Carlos Formell And Johnny's Dream Club : A Blog Supreme The Cuban singer-songwriter possesses a vivid imagination, a poetic sensibility and a band of Latin jazz musicians. At Monterey, he led the fantasy house band of a romantic haunt in a long-lost New Orleans — the northernmost Caribbean city. 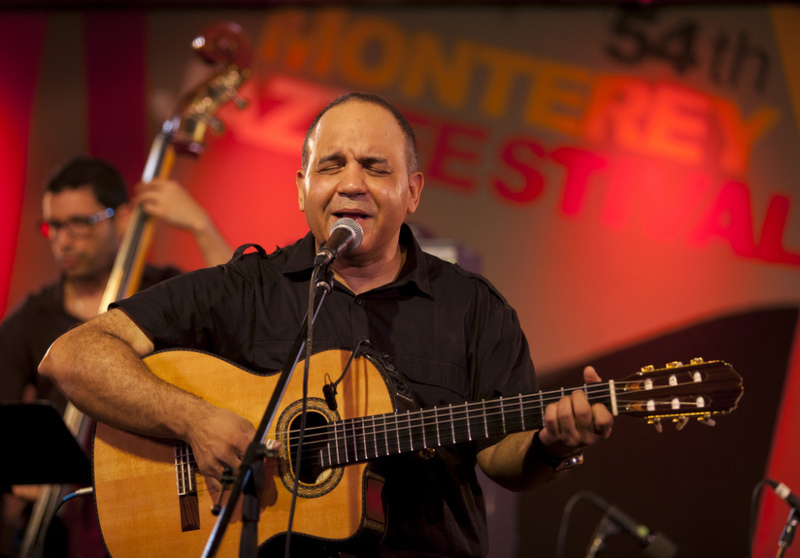 Juan-Carlos Formell and Johnny's Dream Club at the 2011 Monterey Jazz Festival. There was a lot going on in "Ciudad," the first song of Johnny's Dream Club's Monterey Jazz Festival set: a hint of early New Orleans jazz, tactful modern improvisation, poetic Cuban folk song. It all fit into what was essentially a two-chord song. And over and over, there was the haunting lyric, "Ciudad que se rompe / Cuando acaba la noche": "City that comes apart when the night ends." That couplet serves as a microcosm of the band led by Cuban singer-songwriter Juan-Carlos Formell. Based in the U.S. for nearly two decades, he still hardly speaks any English, but his imagination is vivid. He conjured up Johnny's Dream Club as a venue — perhaps a romantic, divey haunt — in a long-lost New Orleans. He picked some of New York's top Latin jazz musicians to fulfill his vision. And he sat at the center, singing and strumming. By the time his second song finished, a dozen-or-so dancing couples had congregated in the back of the Night Club stage, swaying in his dream world. Credits: Paul Cain, mix engineer.